Hotels can be much more than just a place to sleep, take a shower and change your clothes! 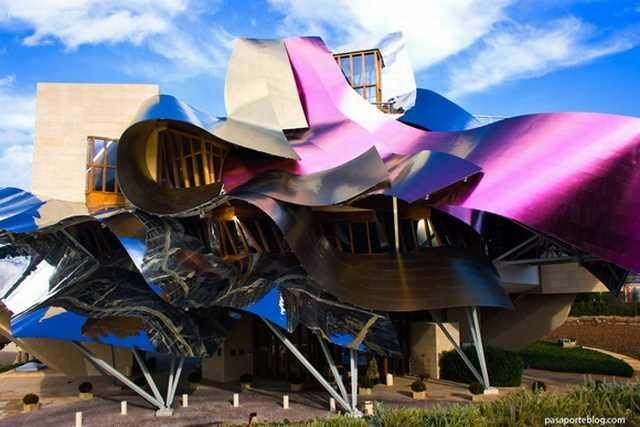 Here are 18 unique and splendid hotels from around the globe that are a world of their own! 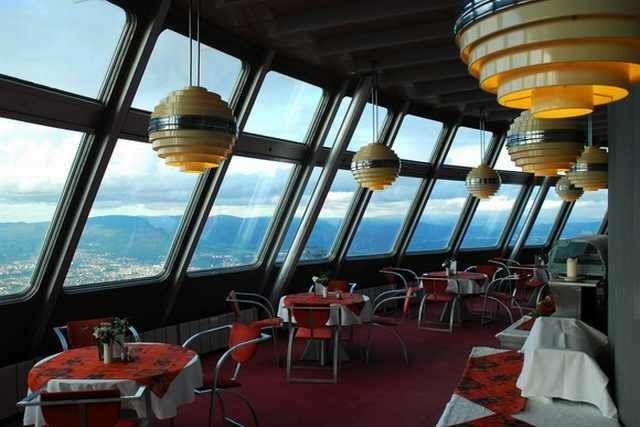 The Hotel Jested was built by Czech architect Karel Hubacek in a retro and futuristic style between 1966 and 1973. 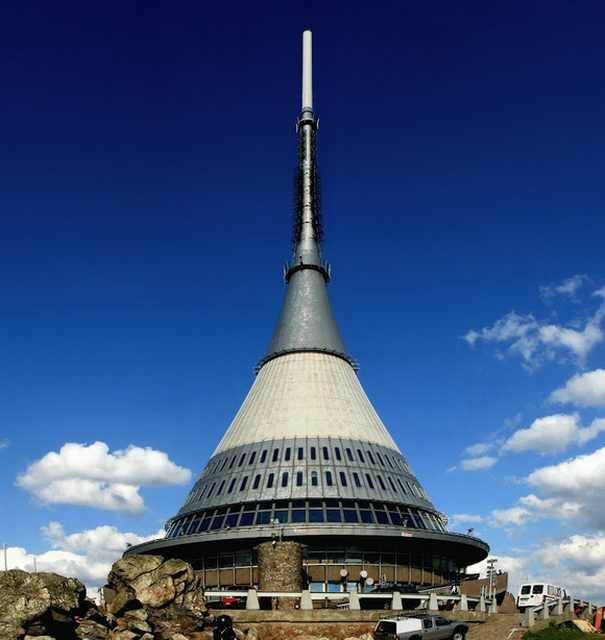 The hotel is visible from miles away due to its huge tower that stands at over 300 feet (91m). 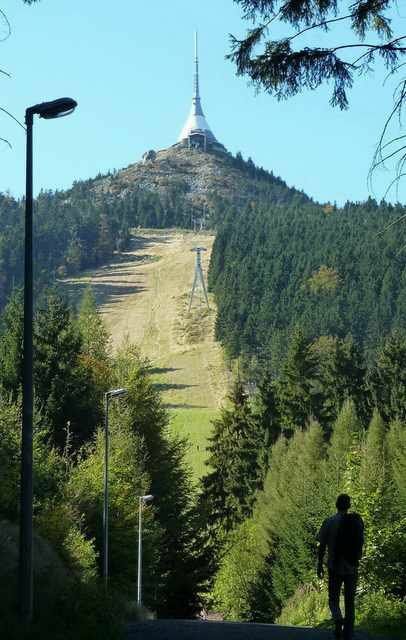 The tower was designed to naturally extend and compliment the silhouette of the surrounding mountains. 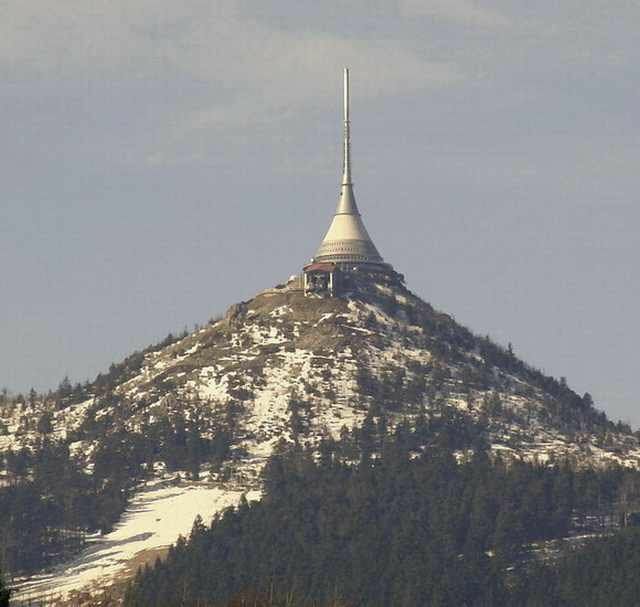 The tower is also a television transmitter that is built to withstand the most extreme of weather. The tower was awarded the Perret Prize by the International Union of Architects for its unique design. Just below the tower is a hotel and restaurant that were also designed in with the theme of the ‘space age’. 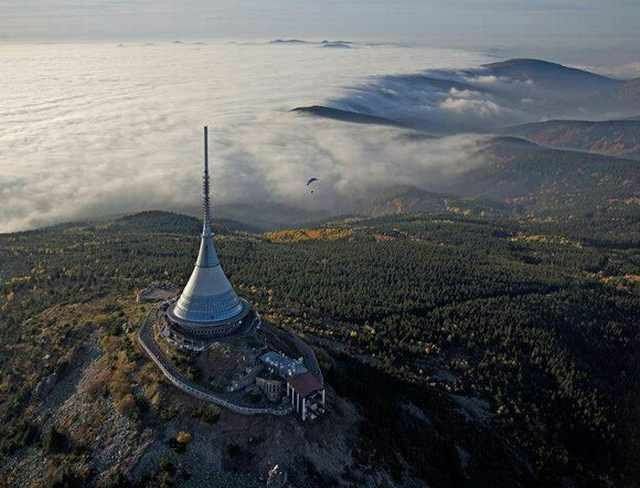 The hotel hosts one of the most breathtaking views in all of the Czech Republic, looking out into parts of Germany and Poland, almost the entirety of what was once Bohemia. 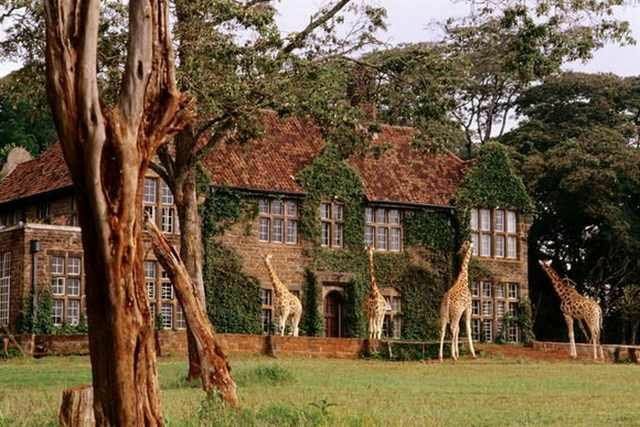 The Giraffe Manor was built by Sir David Duncan in 1932 as a private home surrounded by over 140 acres of its own park and forest. 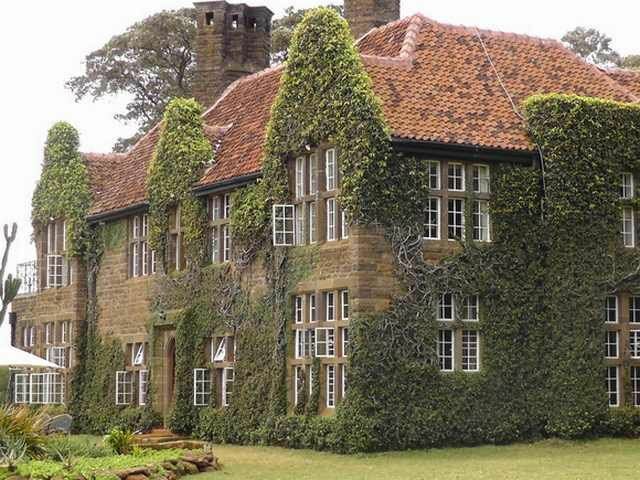 In 1974, Jock Leslie-Melville bought the manor and founded the African Fund for Endangered Wildlife. 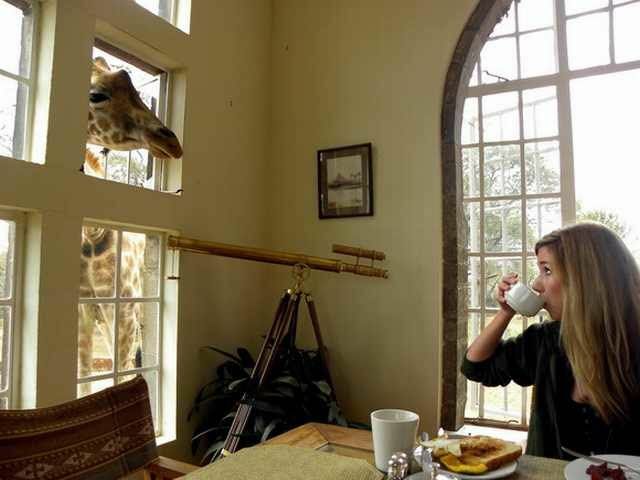 The Melvilles set about making the Manor a refuge for a number of endangered species the Rothschild giraffe. 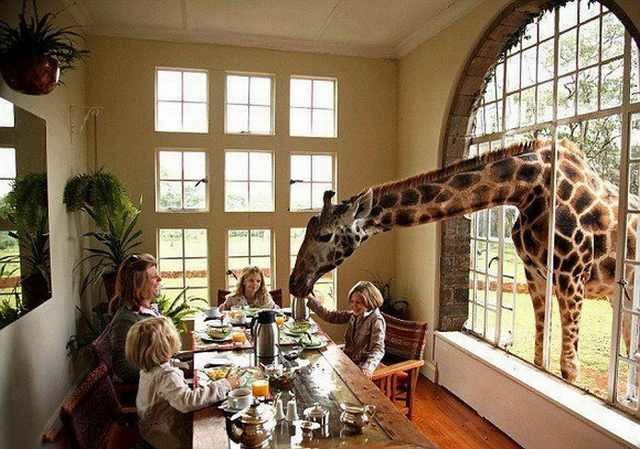 Now travelers from all over the world visitthe Manor to dine with the giraffes and enjoy the Manor’s welcoming and warm accommodations. 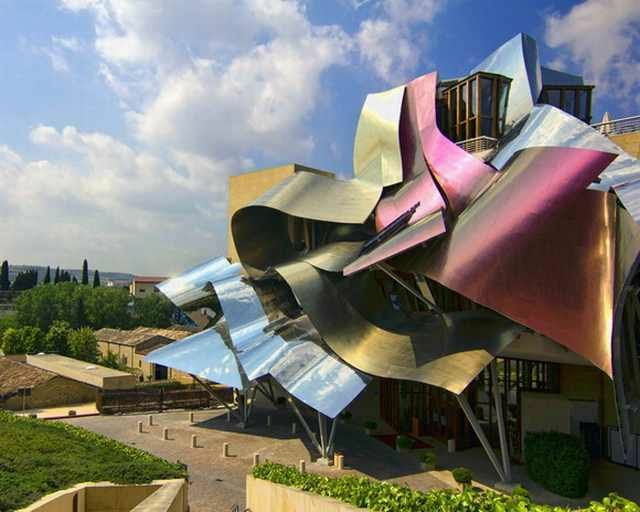 Located in the Vinos de los Herederos del Marques de Riscal vineyard near the medieval village of Elciego, this beautiful hotel is a wine connoisseur’s dream. 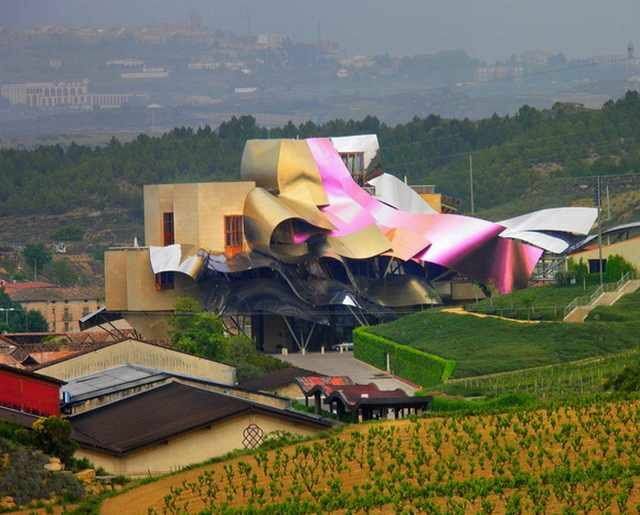 The wine cellars at the bottom of the hotel were designed in 1858 by the architect Ricardo Bellsola. 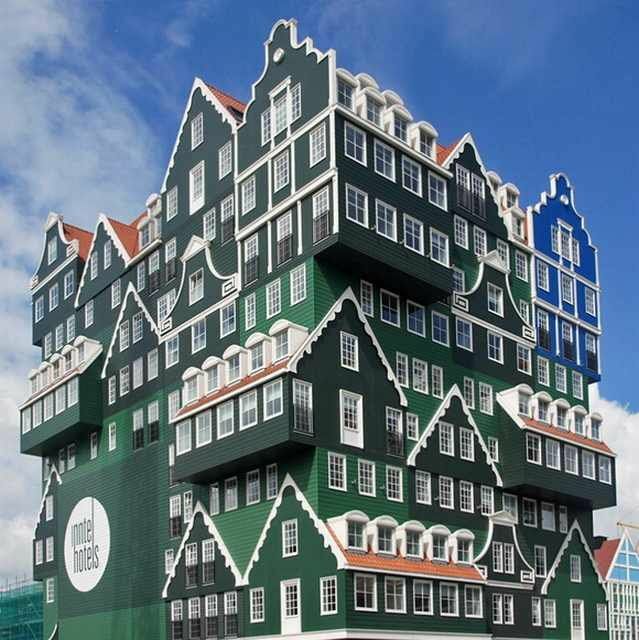 The hotel has 43 luxury rooms, each unique and different in their shapes due to the outlandish structure of the building. 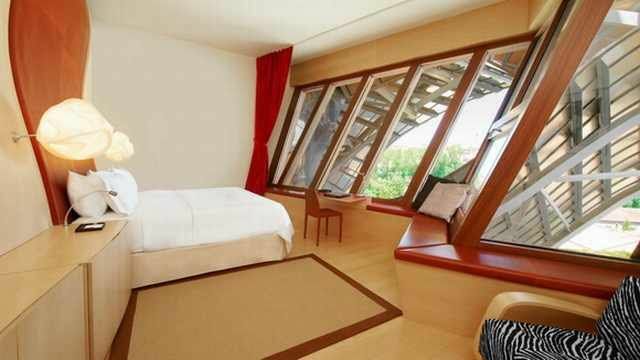 Thus, each room offers a different view out into the spectacular vineyards. 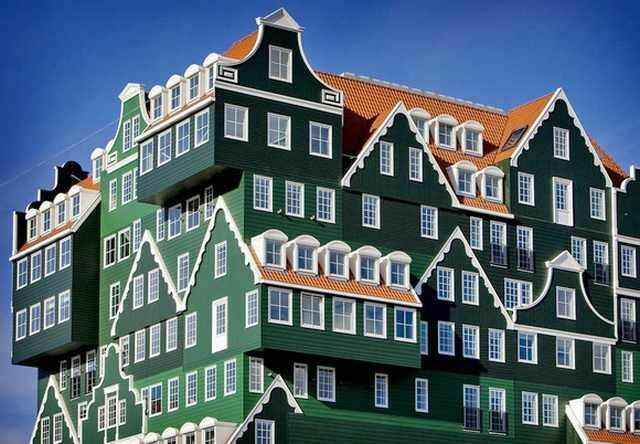 The Inntel Hotel is newest hotel on this list, located in the Dutch city of Zaandam. 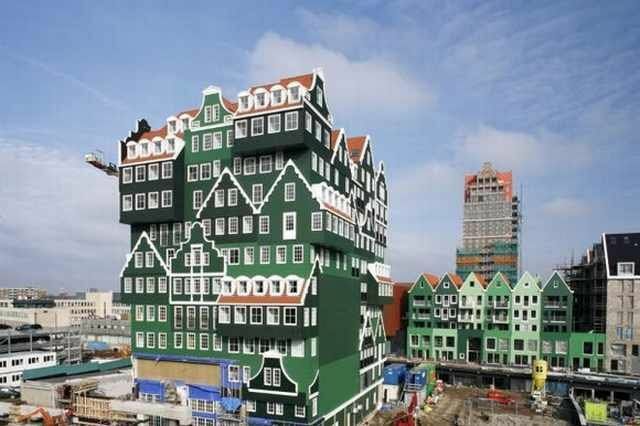 The hotel appears to be a number of traditional Dutch green houses put together into one huge structure. 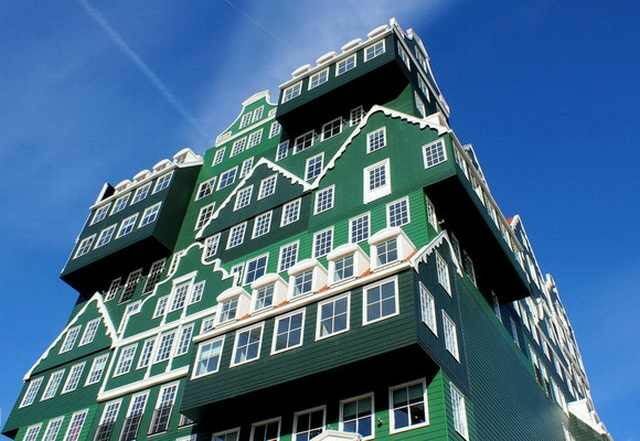 The iconic green houses of the Zaan region were the inspiration for the designer of the hotel, Wilfried van Winden. The hotel provides over 160 guest rooms, a bar-restaurant, swimming pool, wellness center and a Turkish bath.